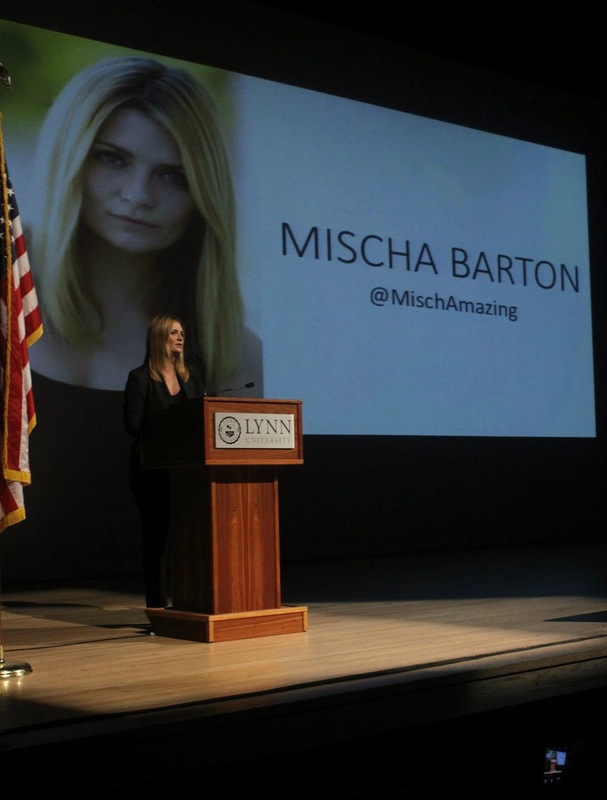 Mischa Barton recently spoke at the 2014 Millennium Campus Conference, held at Lynn University, a small private institution in Boca Raton, FL, to outline her work as a humanitarian for which she was awarded a Global Generation award, as well as promoted her newest film, which draws attention to the little known Bhopal gas disaster. "Bhopal: A Prayer for Rain" focuses on the relatively unknown 1984 gas tragedy which occurred at the Union Carbide India Limited pesticide plant in Bhopal, India. This industrial disaster, only surpassed in magnitude by the Chernobyl disaster that happened two years later, is finally given much deserved attention in this film. "A lot was swept under the rug around it and it's weird what captures people at the time. There is a big change now, if the media are talking about it, it reaches the masses," said Barton. The slogan of this movie, "30 years has passed it's time to tell their story" is most definitely fitting, considering the lack of attention this disaster received. This tragic incident saw 10,000 people die over a two week period, with this number continuing to rise in the following months. This was due to a fatal leak of up to 40 tones of highly toxic methyl isocyanate gas into the area surrounding the plant in Bhopal. "It's such a beautiful country, with such a beautiful culture. I think the whole point of films is to make people think and to put yourself in somebody else's shoes and culture. A script like this doesn't come around that often and it was definitely something I wanted to be a part of," said Barton following her award speech at the event. Barton brings to life the character of Eva Gascon, a journalist trying to discern the truth behind Union Carbide's conduct leading up to the tragic gas incident, in a truly captivating manner in this thought-provoking film. Barton proclaimed her love for India and dedication to furthering the interests of women in India at the conference, which consisted of over 500 student delegates from 40 countries. "It's nice to see these young Indian women rallying together in Deli and Mumbai in unison against the Nirbhaya case, local social activism works really well in India. It takes people in the cities to start this kind of change and then hopefully it will spread to more rural areas," said Barton. It should come as no surprise that Barton took on such a role with enthusiasm. The actress, who has surrounded herself with humanitarian efforts, was quick to cite education as the key to solving many world issues such as sexism. "In terms of female equality, I have to say education is key, when you have people educated a lot of the hate stops," Barton stated. "I think we can empower women with education and opportunities outside what they are traditionally expected to do." Barton clearly has an impressive resume not only when it comes to acting endeavors, but also social change projects. She is a spokeswoman for Climate Star, ambassador for both Save the Children and One Water, as well as a board member of the Lupus Research Committee. It was due to these efforts she was deservedly awarded a Global Generation award on Oct. 11. Due to the work untaken by individuals such as Barton, in addition to several other award recipients present at the 2014 Millennium Campus Conference, including Nicholas Kristof, Kristin Davis, Julie Lewis and Caryl Stern among others, the future of social activism has never looked brighter.